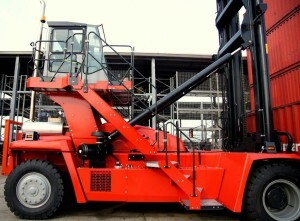 On it’s way to Western Australia to begin service in our ports is the recently revised Series 2, DCT90-45E7 empty container handler. This unit is the first of the new specification DCT series to arrive in Australia with upgrades to stability and cabin access. 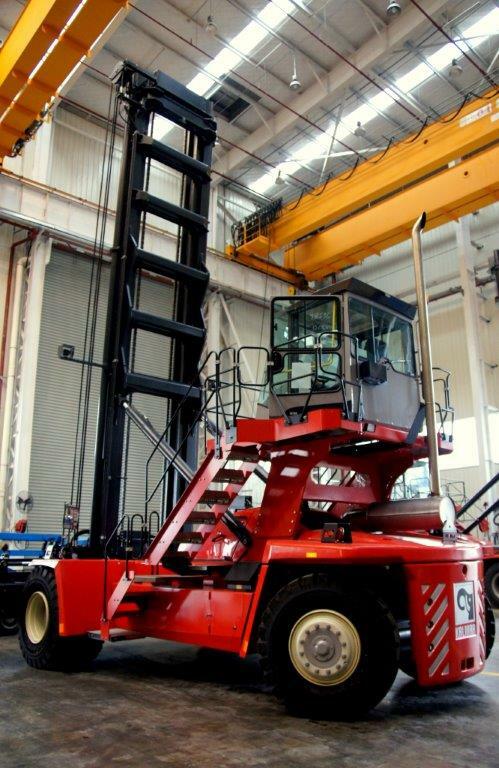 Capable of stacking empty 40 foot containers up to 8 high, with 9000Kg capacity at maximum lift height the DCT is designed for high productivity, long life and hassle free operation. 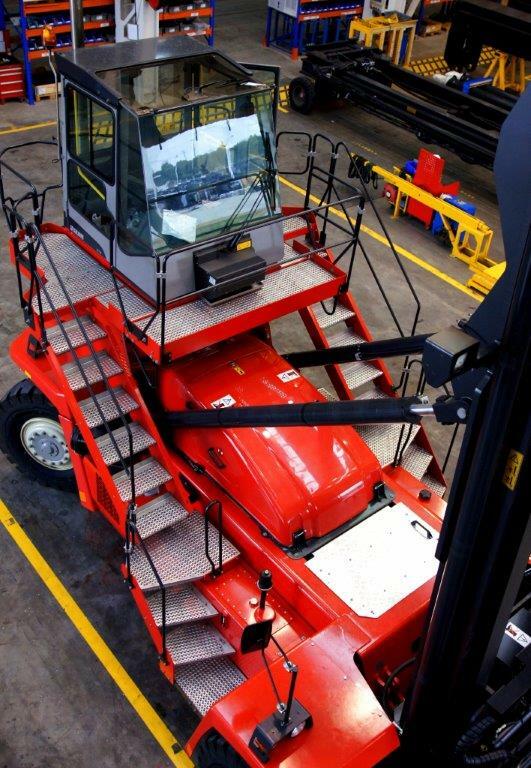 As with all Kalmar equipment, attention to detail, quality and reliability are just part of what they do allowing you to get on with the job at hand. 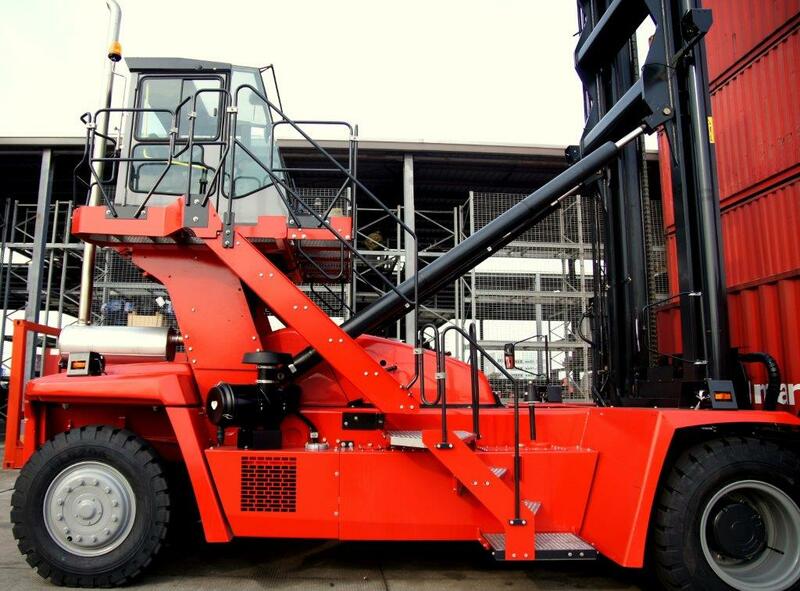 With operator safety and comfort at the heart of the Kalmar design, the Spirit Delta cab delivers in spades with excellent ergonomics, noise levels, visibility even filtered climate controlled air conditioning. 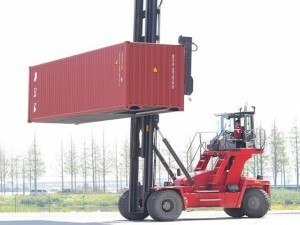 The Kalmar DCT Range offers a number of optional configurations to suit many operations including single and double container picking with mast heights to suit stacking from 5 to 8 containers or 15 metres to over 21 meters high.